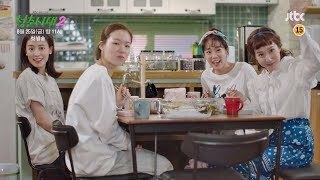 A realistic portrayal of common concerns of people in their twenties, like dating and finding a job Set one year after season 1 of "Age of Youth." Jin-Myung (Han Ye-Ri) successfully found a job after she returned from China. Ye-Eun (Han Seung-Yeon) took a year off from school due to the aftereffects of her abusive ex-boyfriend. She is now returning to her university. Ji-Won (Park Eun-Bin) has yet to find a boyfriend. Eun-Jae (Ji-Woo) broke up with her first love and she is in emotional pain. The girls have a new housemate Jo Eun (Choi A-Ra) at their sharehouse. She stays in the room previously occupied by Yi-Na (Ryu Hwa-Young).